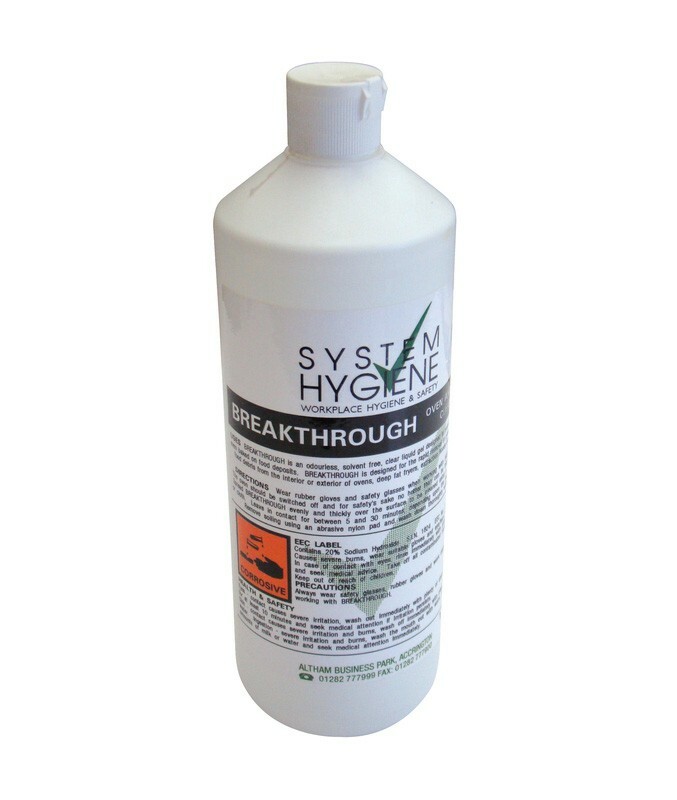 System Hygiene Breakthrough is a odourless, solvent free liquid gel oven and drain cleaner designed to penetrate and soften baked on food deposits and tough to move stains. 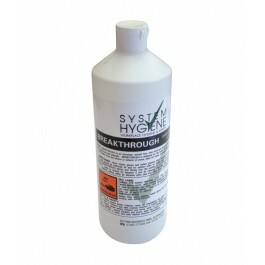 Breakthrough is designed for the rapid removal of grease and charred food debris from the interior and exterior of ovens, deep fat fryers, extraction hoods and filters. The product will also effectively unclog blocked drains, sinks and pipes. Powerful oven and drain cleaner. Odourless - no nasty smells when cleaning. The oven should be switched off and for safety's sake no hotter than can be tolerated by hand. Spread the oven cleaner evenly and thickly over the surface to be cleaned using a brush, sponge or cloth. Leave in contact with the surface for between 5 and 30 minutes, depending on the degree of soiling. Remove the soiling using an abrasive heavy duty nylon hand pad and wash down thoroughly with fresh, clean water. Please Note: Always wear rubber gloves and safety glasses when working with Breakthrough.